At first I was amused, in a perplexed kind of way, about the fascination with the Kardashians. But when they began trying to register their names as “brands” to make even more money on being famous for doing nothing — that is where I drew the line! Since 2011 Kylie Jenner alone has filed almost 50 applications to register her name, in various permutations for a slew of goods and services. (I did not have the heart to count the total number of Kardashian applications). KYLIE Q and KYLIGHTER and some of the more interesting variations of the name might just be able to obtain registration. Several have been approved but some have been abandoned through failure to prove use. Some of Kylie Jenner, Inc’s applications have gone abandoned through failure to respond to Official Actions. But some of the trademarks are being outright rejected. Multiple official actions denying the application KYLIE JENNER for cosmetics as confusingly similar to other, already issued trademark registrations, have been issued by the United States Patent and Trademark Office. Kylie Jenner’s lawyers have argued that Kylie is so famous no consumer would confuse her brand with an already registered brand. The Trademark Office disagrees, however. A Trademark Examiner has issued a Final rejection of one of the applications saying Kylie’s celebrity status actually increases the likelihood that the already registered brand for the mark KYLEE might be confused with Jenner’s new brand, since the goods sold are related. A basic principle of Trademark law is that a newcomer to an industry has a duty to pick a different name not likely to cause confusion with an already registered mark. The writer of an article for the UK Register has an equally distainful opinion of the Kardashians. The author is dismayed that award winning singer and actress Kylie Minogue,who really has accomplished something with her life, seems to be backing away from an opposition to one of Kylie Jenner’s applications. The Real Kylie is not standing up! 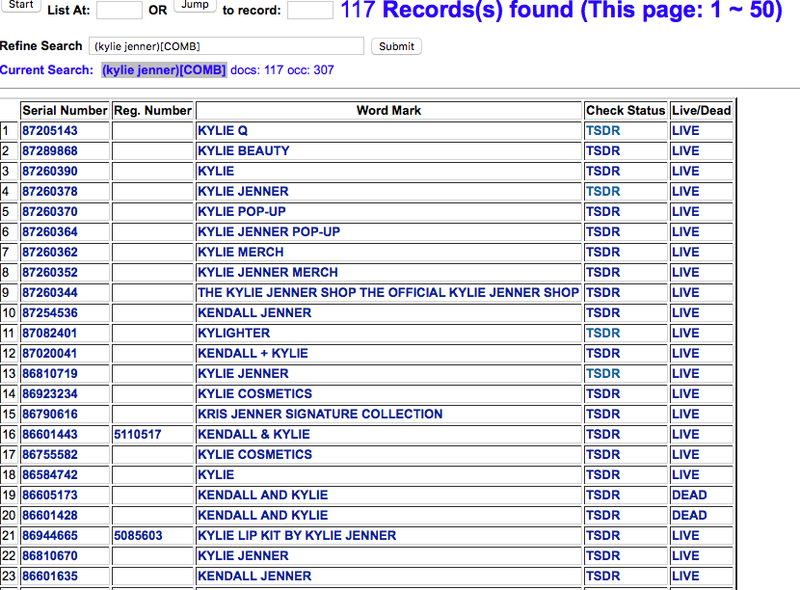 The Trademark Office is doing its job and keeping ahead of the Kardashians. But com’on people, isn’t it time to end our love affair with people who are famous for being famous? Can’t we find better role models? Does The Easy Access to Data Worldwide Make It Easier To Commit Fraud?